be sure to click 'WW'! 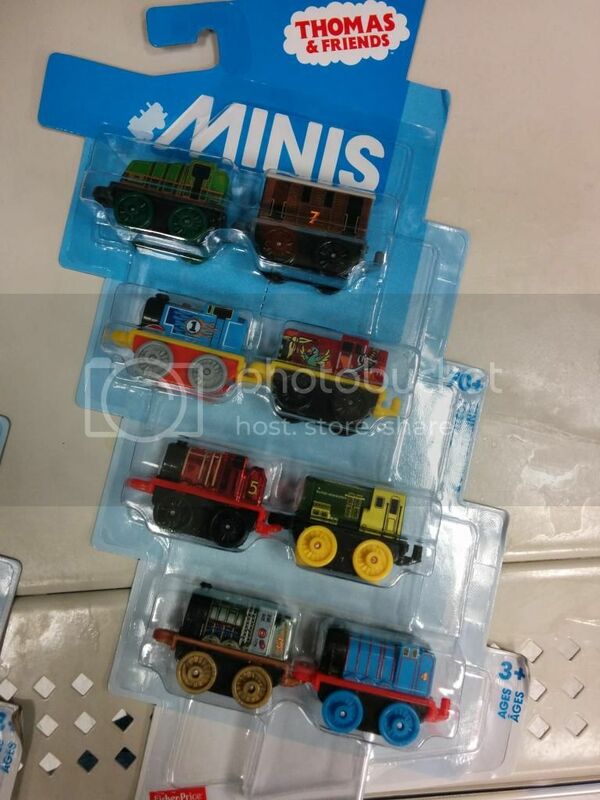 They look like the take along/take n play range without tenders. And made by mattel, why you no detail TM trains this good???? WHY!!!!!! 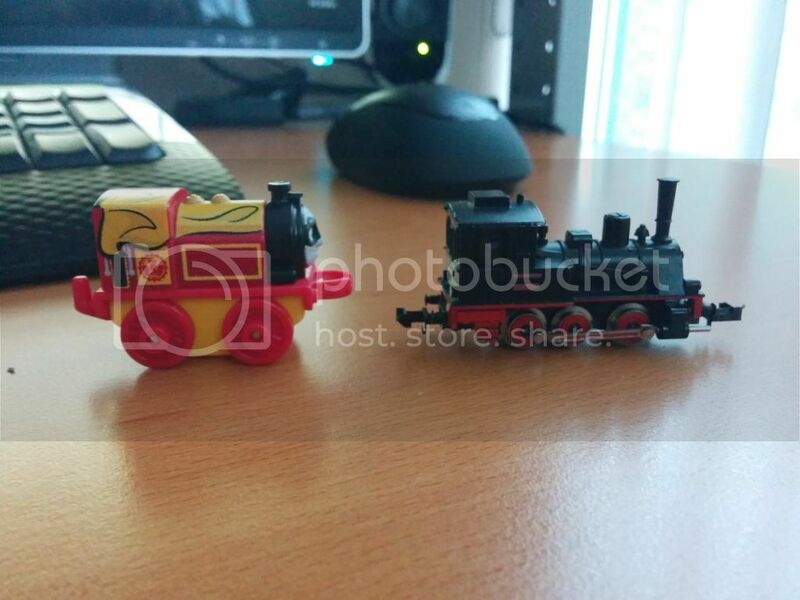 Proud owner of Tomy/Plarail trains. toot, yes i realised after i had taken the photo. a certain ucwepn was so eager for photos i rushed through and didnt really even look at them, lol. rock, they are about 5cm long and so detailed. even the spooky percy has bandages printed on his wheels, and salty has a different design on both sides. it would be nice if the perfection could be transferred to their other lines. Fyi different wave available in USA with several 3 and 8 packs in clear blister packs on card. A little smaller than I thought. with thanks to tootally, who sent me the link overnight, i ordered two of these and another metallic james while eating breakfast at 5.30am. they are coming from australia, so hopefully be here in a couple of weeks. while i was contemplating, one of these sold on ebay for $65USD. i got the two, plus james, for around $80NZD including post. it contains GOLD THOMAS! which was the main draw, plus i plan on showing the minis in public and was looking for a way to transport them with minimal damage. I've picked up a few random packs and I can confirm the numbers and what's in the packs matched what sunhuntin posted in the first post. They're super cute and almost right size not to stick out too much on the N scale layout. the playwheels arrived, and ive managed to fit 2 engines into each space by putting them on their sides, rear end in first on an angle, wheel to wheel. theres just enough clearnace between the front coupling and the lid of the case. the metallics are placed in seperately in the blister that houses gold thomas. each case is designed to hold 16... doing it this way i can almost double it. am considering getting another 2 cases at some stage to make sure i have enough room. also caved and ordered the blister packs from ebay, so i should have everything released to date and will try to sell the duplicates. they shouldnt be too far away hopefully. I've got the 2 8-train packs but still no storage wheel. None of the walmarts around here have it in stock. 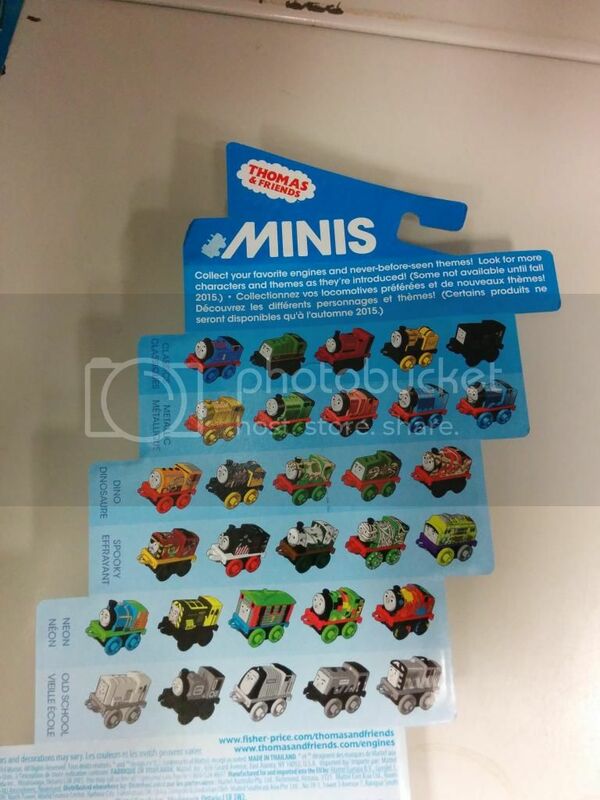 Once I get the wheel I'll start getting the 3-train packs. 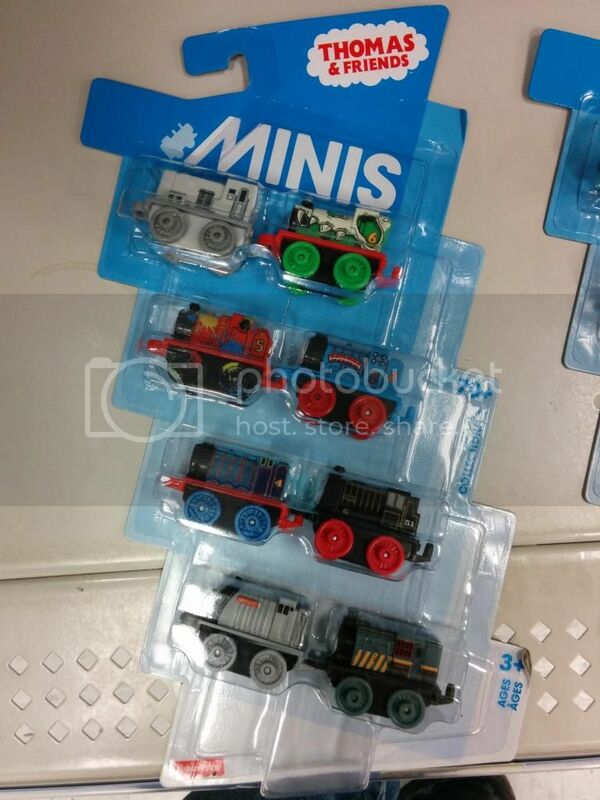 I was in Walmart the other day and saw a couple storage wheels, but I am not going to collect another range of thomas andd friends, unfortunately. the two 8 packs came today. initally i thought i had 4 duplicates out of 16, but it turns out the bert is a neon, not a classic. so only 3 doubles, which is really good. the same link in the first post will lead to more photos of the new arrivals. one collectors wheel is full, and ive started on the second. EDIT~ after some rearranging, i have room for one more engine in the first wheel. i refuse to put two metallics in the one slot, so moved all of them to the second case, cutting up the blisters to stop movement. 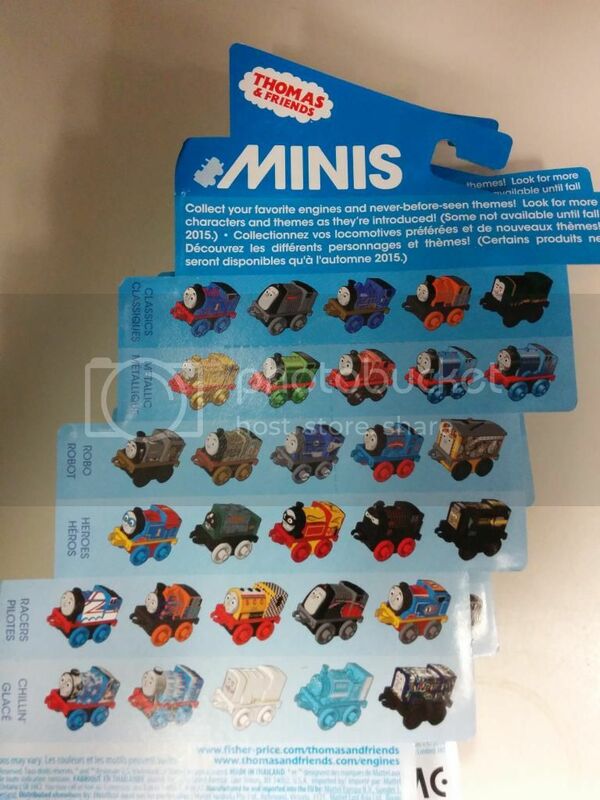 robo henry [next to salty] has different print on both sides, and racer thomas has gradient coloring on the top. metallic gordon! neon [paint] james also has different print on the sides, with the detailing extending to his wheels. Current time: 04-21-2019, 11:44 PM Powered By MyBB, © 2002-2019 MyBB Group.